Since 1977, Northern Berkshire EMS (formerly North Adams Ambulance) has been serving the City of North Adams and the surrounding communities of Northern Berkshire County. 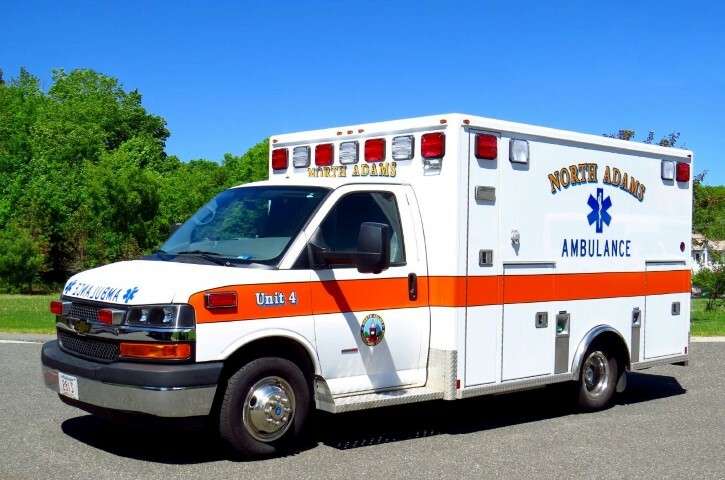 Northern Berkshire EMS provides 24/7 Paramedic Coverage for five cities and towns in Northwestern Massachusetts and Southern Vermont spanning over 200 square miles. In 2015, our 50 staff members responded to over 5,000 requests for assistance. We invite you to browse our site, and feel free to contact us with any questions. Voices for Recovery from Great Sky Media on Vimeo.